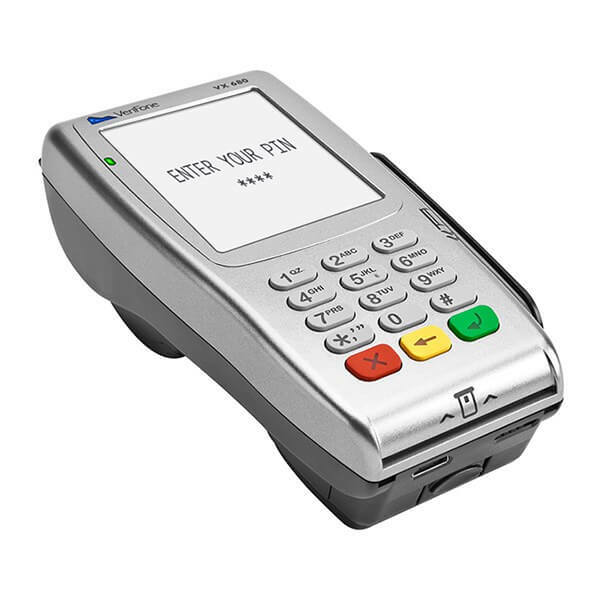 A credit card machine, otherwise known as a PDQ machine or credit card terminal, allows businesses to accept card payments electronically. The cost of not accepting card payments can be crippling. But what kind of card machine should you get? With plenty on the market, how do you pick the right one for your business? This page contains all the information you need to find the best credit card machine for your small business. We’ve explored the different types of card machines available, and their benefits. We’ve looked at how much PDQ machines cost, and compared ten of the best card machines available in the UK. 02 | What is a card terminal and how does it work? 03 | What do I need to start taking card payments? 07 | How much do card machines cost? 08 | How do I get a card machine for my small business? What’s the best credit card machine for small businesses? We know, it’s difficult to choose the best card machine for your business when they all seem to promise the same benefits. Sure you want a chip-and-pin machine, that’s a given, but do they all facilitate smartphone payment? What about a swipe function for magstripe cards? And PCI compliance — that’s important, right? It can all get a bit confusing. So to make your life easier, we’ve picked out the best mobile, countertop and portable card machines on the market. Now all you have to do is choose the one that suits your business best. Whether you’re looking for a countertop, wireless or mobile card machine, we’re here to help you pick the best one for your business. 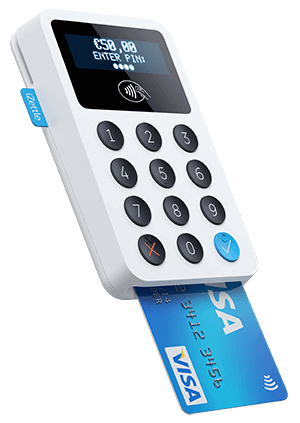 See our reviews of the top models: iZettle card reader, Ingenico iCT220, Ingenico’s iWL series, Sumup Air, PayPal Here, Worldpay Zinc. iZettle has shaken up the mobile payments industry in recent years. Its distinctive iZettle Reader is a cost-effective card processing solution designed specifically for small businesses. Costing just £29 (+ VAT), it connects with the iZettle App to allow businesses to take payments via a smartphone or tablet. 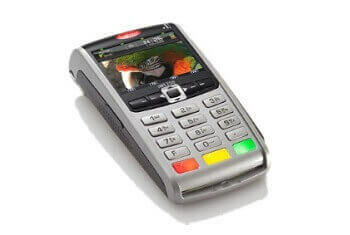 The iCT220 from Ingenico is a great example of an all-around countertop card terminal. It’s practically indestructible by card machine standards. (Seriously. In a fight between an Ingenico ICT220 and a wall, we think the Ingenico would win.) With crystal-clear backlit display and jumbo, finger-friendly keys the ICT220 allows you to easily enter payment details even in low-light conditions. And as a tasty bonus it comes with a speedy built-in receipt printer. The iWL card machine from Ingenico is a lightweight, feature-heavy handheld card terminal. Users can choose to connect using GPRS, 3G, WiFi or Bluetooth technology. And what’s more, iWL series card terminals are water and shock resistant, making them an ideal choice if your business operates in an outdoor space. Cash payments are decreasing on a global scale and new digital payment technology is taking its place. 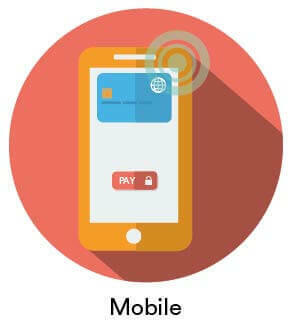 Mobile wallet payments now make up more than a third, (36%), of all payments in China and, even in the UK, mobile wallet payments account for around one in twenty, (5%), of payments. SumUp is a trendy startup bidding to dethrone rivals iZettle as the king of mobile card machines. The company offers a flat transaction fee of 1.95% and no fixed monthly costs. 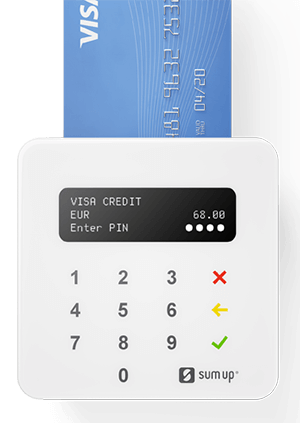 Their pocket-sized card machine, the SumUp Air, measures just 84 x 84 x 23 mm. It can be bought outright for the downright competitive price of £19 + VAT. PayPal Here is a mobile credit card machine that integrates seamlessly with your PayPal account. By doing this, it allows merchants access to funds from card payments just seconds after approval. 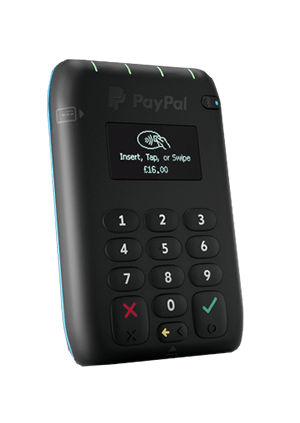 The Paypal Here falls behind the iZettle Reader and the SumUp Air because of its slightly higher price (£54). But other than that, there’s not much to pick between the three. Read our PayPal card machine review for more info. 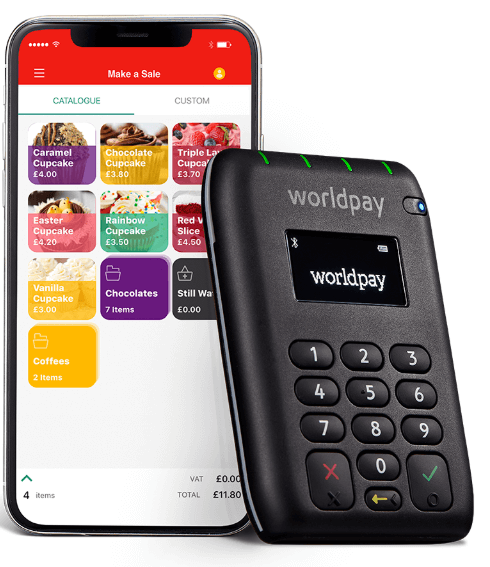 The Worldpay reader is this global payments giant’s answer to the iZettle and SumUp mobile card readers. Designed specifically for small businesses, the Worldpay reader can be bought outright for just £39.99. The keypad is covered with a 12-month warranty, and users can choose to issue receipts via email or SMS at the press of a button. If that wasn’t enough, the Worldpay reader comes with a virtual terminal for taking card payments over the phone. 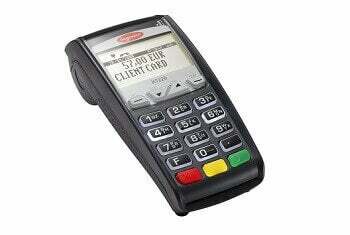 The Ingenico iCT250 is a robust, cost effective countertop terminal ideal for retail businesses. Its keys are so large even your gran could use them, and sports a vibrant colour screen display. And crucially, it meets the payment industry’s highest security requirements for a PDQ machine. And because it plugs straight into both the power and the internet, you’ll never have to worry about the Ingenico iCT250 running out of juice. the latest high-tech software to safeguard transactions at lightning-quick speeds. And to top it all off, there’s even a touchscreen model available! 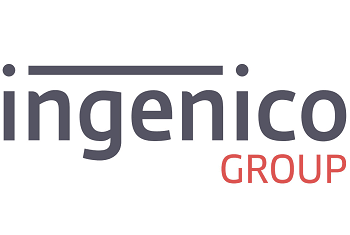 The Desk/3000 from Ingenico belongs to a new era of PDQ machines, for a new generation of small businesses. It’s capable of handling over 2,500 payment applications in 170 countries, including Apple and Android Pay. And it’s not just fast; it’s flexible, too. The Desk/3000’s intuitive operating system, Telium, integrates with a host of smart business apps. So you won’t just be taking payments; you’ll be getting more insights into sales and employee performance. Which means you can work smarter – not harder. 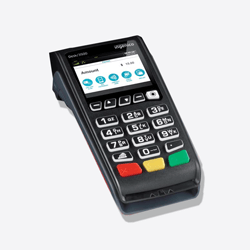 The VX 680 is Verifone’s most compact payment terminal yet, but it doesn’t compromise on features. It boasts an almost IMAX-sized colour touchscreen display, as well as Bluetooth, 3G, 2G and WiFi connectivity. And when you add in its Herculean battery life and quick processing speeds? Well, then the VX 680 weighs in as of the most versatile mobile PDQ machines on the market – and perfect for small businesses. What is a credit card machine and how does it work? You can’t just grab a credit card machine and start taking payments, there’s more to it than that. 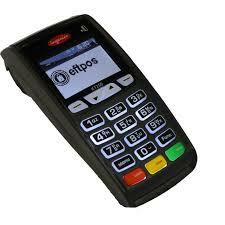 To start accepting card payments for your small business you’ll need an EPOS system and a merchant account. And to take payments online and over the phone, you’ll also need a payment gateway and a virtual terminal. First up, if you serve customers face-to-face, you will need an Electronic Point of Sale (EPOS) system to pair with the credit card reader. This is essentially the till: a cash drawer, user interface and usually a receipt printer. Next, you’ll need a merchant account with a merchant bank. A merchant account is a type of credit account that allows your business to accept credit and debit card payments. It’s where the money sits while the bank checks that the customer has the sufficient funds to make payment. It also serves as protection against fraud. Card machines are most commonly leased as part of a merchant account agreement. 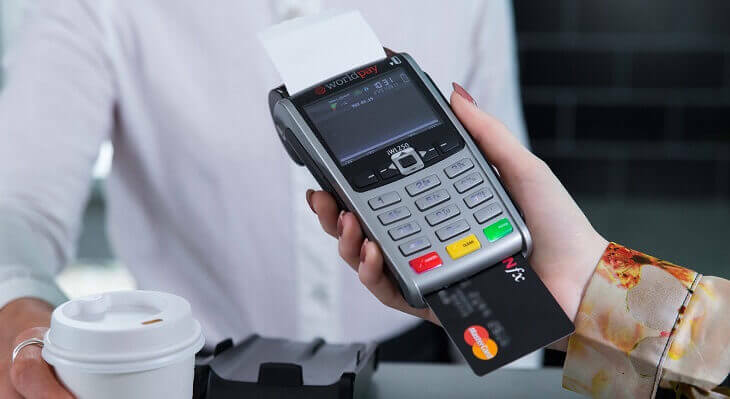 A merchant account can be setup with a dedicated merchant bank, such as Worldpay, or by special arrangement with a PSP (payment service provider) or ISO (Independent Sales Organisation). Our guide to the best merchant account providers in the UK is essential reading for those looking to start accepting credit card payments. To take card payments online you’ll need what is known as a ‘payment gateway’. Integrated with the shopping card your website, a payment gateway is a secure piece of software that encrypts the customer’s card details and transmits them to the merchant bank. 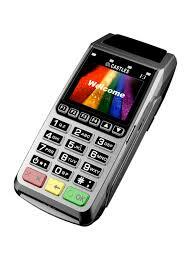 And businesses that need to accept credit card payments over the phone or by email will require a ‘virtual terminal’. Like a payment gateway, a virtual terminal secures sensitive payment details while the bank authorises the transaction. Unlike a payment gateway, card details are entered into the system by the merchant, rather than the customer. This type of transactions is known as a MOTO transaction (Mail Order / Telephone Order). Once you’ve got all that sorted, then you can go about choosing a credit card machine for your business. The best card machine (PDQ machine) for your business will vary depending on your specific requirements as a merchant. What works for a static brick-and-mortar business such as a coffee shop, probably won’t suit a food vendor who trades in a different location each week. PDQ machine costs vary, so it’s important to choose the type that’s best suited to the unique needs of your business. Let’s take a closer look at the different types of card machine available. Cash payments have declined by 43% since 2016 and thousands of ATMs are disappearing from UK high streets every year. As paying by card becomes the norm, our researchers estimate that cash machines could become extinct by 2041. Pick a Card Machine Type.. 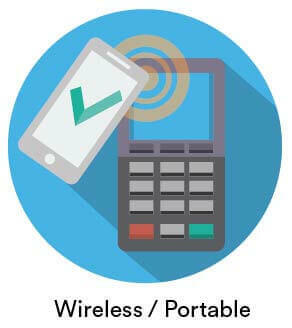 Mobile credit card machines allow you to accept card payments anywhere with mobile network coverage. They offer users ultimate flexibility, and have opened the door to a whole host of remote businesses for which a card machine was previously out of the question. Remember when you used to have to ask the cab driver to stop at a cashpoint before dropping you off? Those days are over because of mobile card machines. Most work via a pre-installed SIM card that connects your machine to a mobile network. Recently, though, more modern mobile card readers (like the iZettle card reader) have done away with the need for a SIM and instead connect to your phone via an app. You can read more about this type of card machine below. Perfect for UK businesses such as: food truck vendors, cab drivers, pop-up shops. A portable card machine allows merchants the flexibility to move around and take payments without relying on mobile network coverage. They’re the perfect choice for a restaurant or bar setting where the point-of-sale is often at the customer’s table. Wireless terminals usually connect via WiFi, but if you don’t have an internet connection they can be hooked up to a traditional landline too. Most will operate for around eight hours before needing to be recharged and work at a range of up to 200 ft. Perfect for UK small businesses such as: cafes, restaurants, bars. 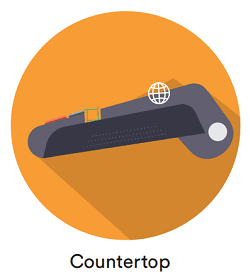 Many small businesses choose to rely on countertop card machines to process payments. With a hardwired connection, they’re sturdy, reliable, and often the cheapest option in terms of upfront cost. 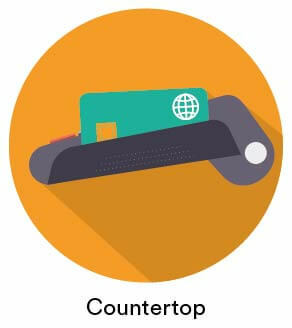 This varies from provider to provider, but you can expect to pay around £100 to buy a countertop card machine outright, compared with £200-£300 for a portable machine. The savings are real. So for businesses like coffee shops, where the customer pays at the counter, a countertop card machine is often the best option. Perfect for UK small businesses such as: coffee shops, newsagents, beauty spars. 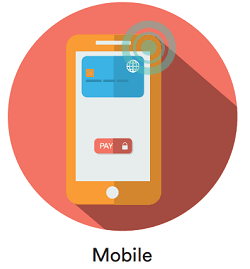 Contactless payment is the fastest and most convenient payment method for customers. Modern card machines come with a contactless payment facility as standard. So while there’s not much to compare in terms of hardware, it is important to compare transaction fees, as these can vary a lot. Some providers will charge as much as 4p to process contactless payments, others won’t charge at all. To ensure you’re getting a good deal for your business it is important that you compare quotes from multiple providers. Contactless card limits differ massively across the globe; whilst Poland and Brazil have limits of just £10, China has a much larger cap of £100+. 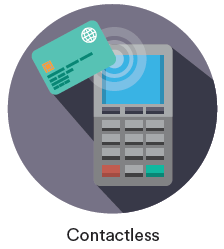 In the UK, nearly two-thirds, (63%) of people pay using contactless cards with a cap of £30 per transaction. ✔ Higher revenue — card payments account for over half of all UK transactions, and that number is set to rise year-on-year. In fact, by 2025 only one in four of all transactions will be made with cash. Businesses that don’t accept card payments will be left in the dark ages. ✔ Credibility — as a business, if you don’t accept debit and credit card payments you look amateur. That’s a fact. ✔ Better end-to-end customer experience — a quick tap or swipe of a credit card is much more convenient for a customer than laboriously counting out cash. Streamline their shopping experience with a card reader. Remember: a satisfied customer is a loyal customer. ✔ Better cash flow — providers that specialise in making the best card machines for small businesses prioritise a speedy transfer of funds as part of their service. Cashflow can be a major problem, so having having quick access to the money from card payments is a major benefit. ✔ Security — handling large amounts of cash poses an obvious security risk to your business. Reduce this risk by accepting payments electronically. Plus, the EMV computer chip in modern cards makes them extremely difficult to clone, further reducing the chance of fraud. ✗ Cost and transaction fees — you will be required to pay a transaction fee for every card payment processed. Fees vary depending on the volume of transactions; the more transactions you process, the lower your rates will be. This poses an obvious problem to small businesses who tend to process a low-volume of card payments. Don’t worry though, the providers reviewed on this page specialise in card machines for small-scale business operations, with fees to match. ✗ Chargebacks — dealing with chargebacks can be a long and arduous process for business owners. Customers have the right to challenge any card payments they see on their statement, which can sometimes mean business owners have to refund the transaction plus a chargeback fee of around £15. ✗ Fraud — fraudulent transactions may be few and far between, but when they do occur it is usually the merchant who loses out. How much do credit card machines cost for a small business? A card machine is usually rented as part of a merchant account agreement. But if you can afford to swallow the upfront cost, in the long run it pays to buy the terminal outright. Aside from a charge for the payment terminal itself, there are two other fees you need to know about: transaction fees and a minimum monthly charge. Transaction fees for debit cards are typically around 1% and credit cards 2%, while the authorisation fee for both is the same. The minimum monthly spend is the minimum amount in fees you will pay each month, regardless of the number of transactions processed. For smaller businesses especially it pays to choose a merchant account with a low minimum monthly spend to avoid unnecessary charges. How do I get a card machine for my small business? Simply fill in this form and compare quotes from the UK’s leading card machine providers. It’s quick, easy and there are no hidden fees. The questions asked are designed to match you with the most suitable suppliers, and there’s absolutely no obligation to buy.